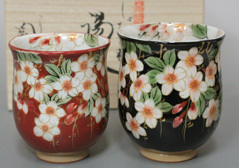 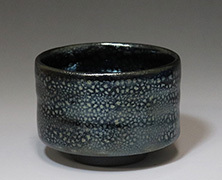 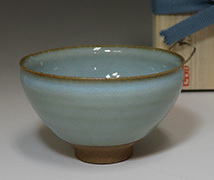 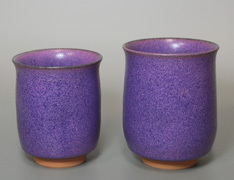 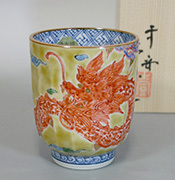 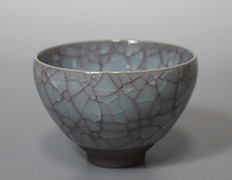 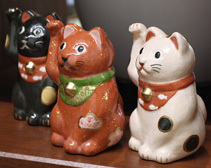 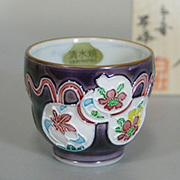 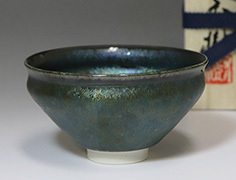 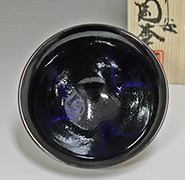 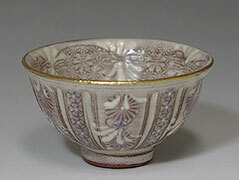 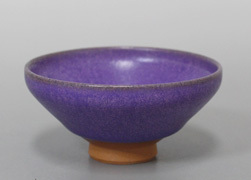 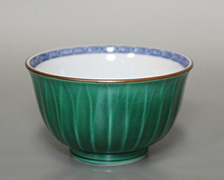 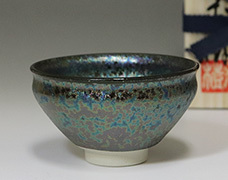 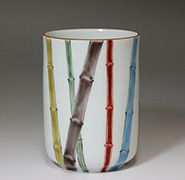 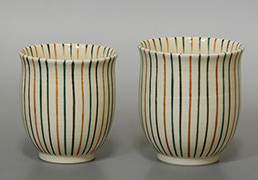 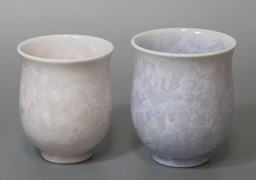 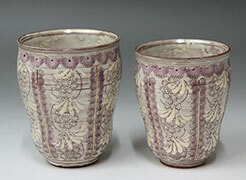 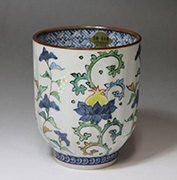 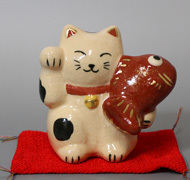 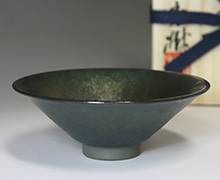 Kyo yaki is the name given to pottery made in the Higashiyama district of Kyoto. 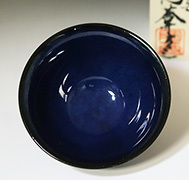 Kyo yaki came into being at the end of the 16th century, a period of great growth for Kyoto as the nation's capital and centre of politics and trade. 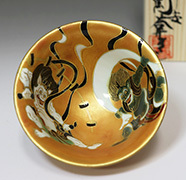 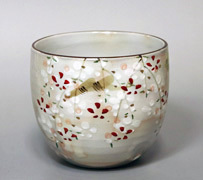 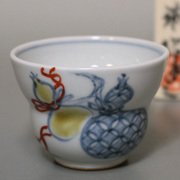 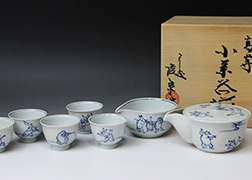 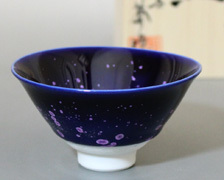 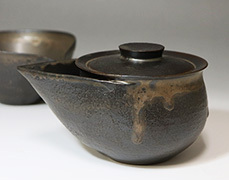 The popularity of the tea ceremony created a demand for tea-ware, and the presence in Kyoto of artisans from all over the country, each equipped with their own special skills, meant that Kyoto was perfectly equipped to meet this need. 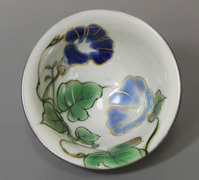 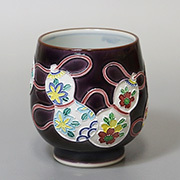 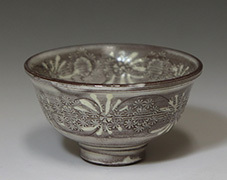 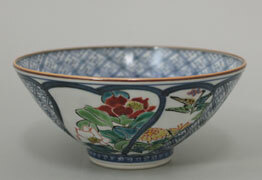 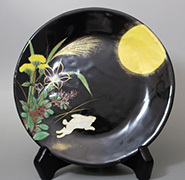 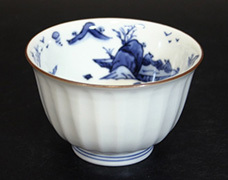 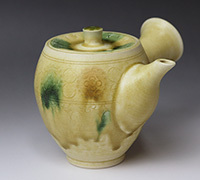 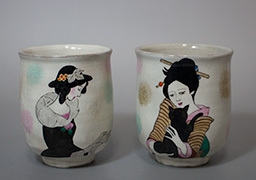 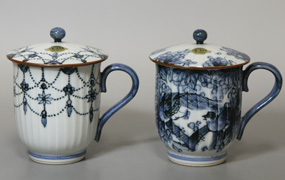 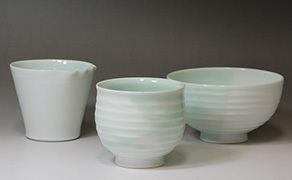 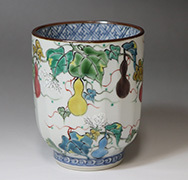 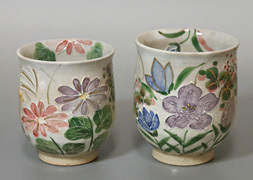 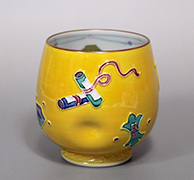 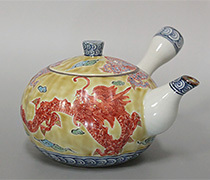 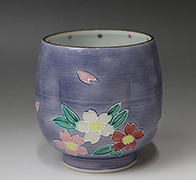 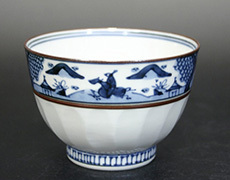 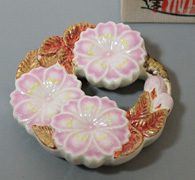 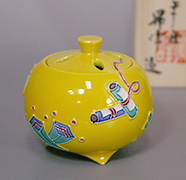 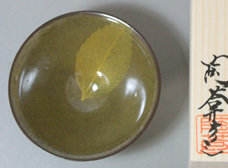 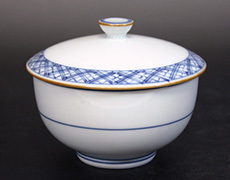 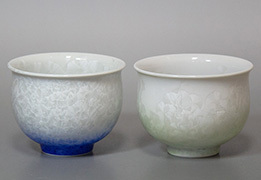 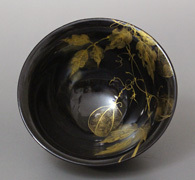 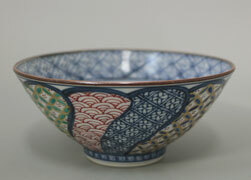 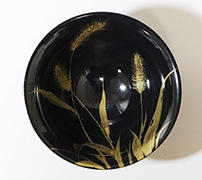 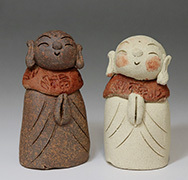 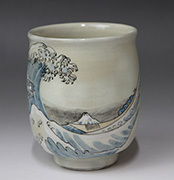 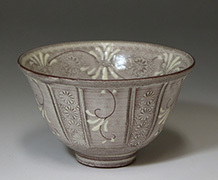 This eclectic mix meant that Kyo yaki was able to borrow pottery techniques and designs from other regions of Japan as well as from China and Korea. 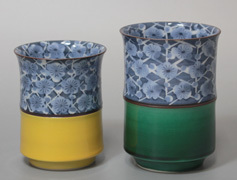 This fusion gave rise to an original style and led the potters to experiment even further, giving Kyoto a reputation for innovative pieces with a character all of their own.